Char corn and jalapeno on a hot grill, or under a broiler in the oven. Mix cream cheese with sour cream and stir in lime juice. Add garlic salt, cilantro and green onion. 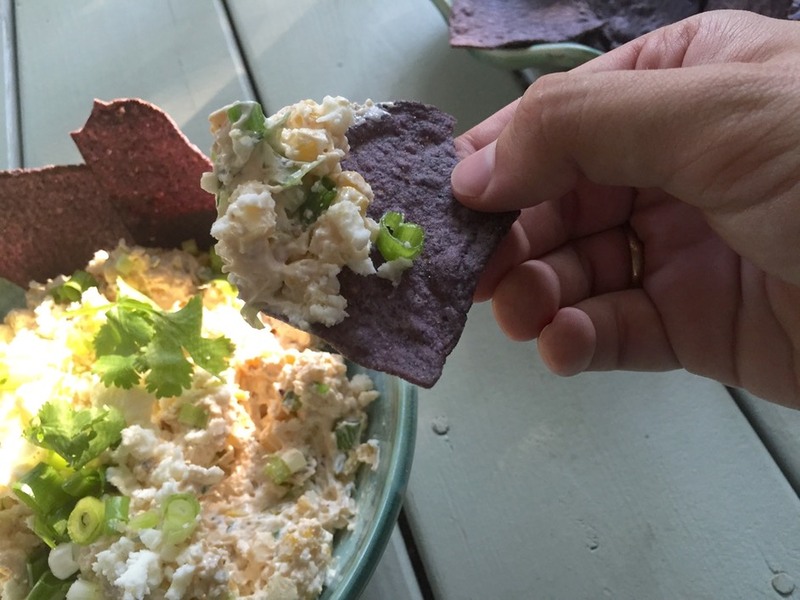 Cut cooled corn from husks and chop jalapeno – add to the cream cheese mixture. Stir in ½ cup of the Queso Fresco. Taste for salt and top with remaining Queso Fresco. *I usually find this near cream cheese at the grocery store.